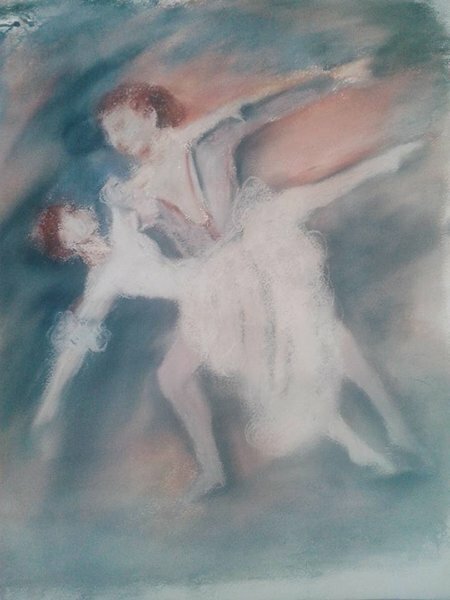 I was very happy to be chosen to review a beautiful A3 limited edition print inspired by Prokofiev’s ballet Romeo and Juliet supplied by Tchaikovsky Arts. Self-taught artist Jo Levi thought it was time to share her gorgeous creative artwork to the world in 2015 and I for one am so pleased she did. The parcel was very sturdily package, which is always a bonus with art work and not only was I sent the Romeo and Juliet print I was pleasantly surprised to find a set of 6 gorgeous prints, that included Giselle, The Rite and some from the Nutcracker, as well as 2 poster cards and 2 post cards. I was first attracted to the vibrant background colour at the top of the Romeo and Juliet print which makes it stand out. The gentle flow of the colours merging into each other are a delightful sight to the eyes, which make a refreshing change from a normal portrait. The strength of Romeo and Juliet gives you the impression that they are passionately in love, it has a creative and dreamy style about it. It is the perfect size to capture the ambience. 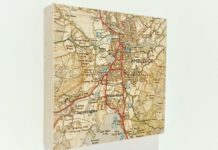 It would be complimented by a silver frame and will look lovely in a dressing room, which is where I will be hanging it along with the others. The print is on high quality paper and costs an affordable £10. Jo Levi’s beautiful ballet prints draw inspiration from some of the world’s most stunning ballet productions. Jo is also available for bespoke commissions. Beautiful art and the website is well worth a visit.